The Cocos Marine Conservation Area (ACMC) is one of the eleven Conservation Areas that make up the National System of Conservation Areas (SINAC) of the Republic of Costa Rica. Its mission is to observe the ecosystems of the ACMC, through the execution of an adequate management of its natural resources, and to constantly increase its knowledge and that of its area of influence. Its vision is to position itself as the main center of knowledge and research of the Tropical East Pacific and world leader in conservation. Coco Island is located in the Costa Rican Pacific Ocean, at an approximate distance of 496km southwest of Cabo Blanco, Nicoya Peninsula. The island is part of the Marine Corridor of the Eastern Tropical Pacific. It is a new Protected Wilderness Area created on June 23, 2011, (it is the first Protected Wilderness Area declared under this management category in Costa Rica), through Executive Decree number 36452 – MINAET, which measures 9640 square meters. It is located in the Pacific Ocean, in the waters around the Isla del Coco National Park with the purpose, among others, of protecting the marine ecosystem around Isla del Coco and thus have a greater area of open waters that include the feeding areas of protected marine birds and migratory species that use these waters part of the year as: turtles, sharks and others. The Isla del Coco National Park (PNIC) is located in the Pacific Ocean 535 km from Cabo Blanco, Costa Rica’s Pacific Coast. Between the parallels 5 “30 ‘and 5” 34’ and the meridians 87 “10 and 87” 6 ‘. It has an area of ​​24 square kilometers and a marine area of ​​12 nautical miles around, has a profuse vegetation and a particular biodiversity that give it special interest for scientists and tourists. It was created in 1978, it has been declared a World Heritage Site by UNESCO since 1997; Ramsar Site since 1998 and Historical Heritage of Costa Rica in 2002. In this way, Isla del Coco is a strategic site at the national level, since its location in the Eastern Tropical Pacific allows the country to increase its EEZ exclusive economic zone by more than 290,000 km2. Due to its characteristics, Coco Island is one of the most privileged natural sites worldwide. It is recognized as a reservoir of biodiversity and endemism, a site of exceptional scenic beauty and is considered one of the ten best sites for recreational diving in the world. Isla del Coco and its islets was declared a national park on June 22, 1978, by Executive Decree No. 8748-A-MAG and published in La Gaceta 129 The creation of this national park was under the administration of former president Rodrigo Carazo Odio (Moreno-Díaz, 2015). It was also ratified by Law N ° 6794 of August 25, 1982 (Onca Natural and ACMIC, 2007). The PNIC was created with the purpose of preserving the natural state of the island (Executive Decree N ° 8748-A-MAG). In the declaration as such there is no explanation of the technical foundation by which the island and its islets are established as a national park. The PNIC was declared a World Heritage Site in 1997, in the Natural category by UNESCO (United Nations Organization for Education, Science and Culture). 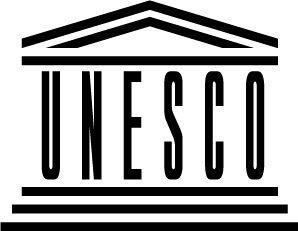 The objective of the UNESCO program is to catalog, preserve and publicize sites of exceptional cultural or natural importance for the common heritage of humanity. In 1998 the PNIC receives the denomination of Protected Wetland of International Importance. This denomination is granted by the Convention on Wetlands of International Importance, especially as Waterfowl Habitat, known in short form as a Ramsar Convention. The main objective is the conservation and wise use of wetlands through local, regional and national actions and through international cooperation, as a contribution to the achievement of sustainable development throughout the world. The Government of Costa Rica, through the Ministry of Culture, Youth and Sports, granted it the declaration of Historical-Architectural Heritage of Costa Rica, through Decree No. 30834-C of November 20, 2002 (La Gaceta 224) . It was considered for this designation because it has a high historical and cultural value for the people of Costa Rica and the world, by virtue of the particular historical identity of the site, forged from the eighteenth century through the visit and permanence of human groups from various parties and with different purposes. The CMAR is a regional conservation and sustainable use initiative that seeks the adequate management of biodiversity and marine and coastal resources. The CMAR is a voluntary instrument established between the Ministries of Environment of four countries: Costa Rica, Panama, Colombia and Ecuador. It was signed by the "Declaration of San José" in April 2004, which defines its objectives and establishes the mechanisms or bodies for its direction, coordination and monitoring. The CMAR is made up of the core areas that correspond to the marine protected areas of the PNIC (Costa Rica), Isla Coiba National Park (Panama), Malpelo Flora and Fauna Marine Sanctuary, Gorgona National Natural Park (Colombia) and the Galapagos National Park and Marine Reserve Galápagos (Ecuador). Of these five protected areas, four are currently UNESCO World Heritage Sites, that is, they are unique places in the world with exceptional universal value for their natural phenomena, geological processes, ecological development and extraordinary biodiversity. Isla del Coco is recognized worldwide as a reservoir of biodiversity and endemism, a site of exceptional scenic beauty and is considered one of the ten best sites for recreational diving in the world. Due to its characteristics, Coco Island is one of the most privileged natural sites worldwide. The System will exercise the administration of the Conservation Areas, by means of a Regional Council, which will be integrated by means of a public call, which will be carried out by the election of a municipal representative. In those circumscriptions where the organizations indicated to integrate the Council do not exist, it will correspond to the municipalities to designate them in coordination with the representative of the System. These Councils will have the organizational structure indicated in the regulations of this law, which will have, at least, a President, a Secretary, a Treasurer and two Members, all elected from their own, as well as a representative of the System, who he will always function as Executive Secretary. Ensure the application of policies on the matter. Ensure the integration of community needs in the plans and activities of the Conservation Area. Encourage the participation of the different sectors of the Area in the analysis, discussion and search for solutions to regional problems related to natural resources and the environment. Present to the National Council the proposal for the appointment of the Director of the Area, by means of a short list. Approve the strategies, policies, guidelines, guidelines, plans and specific budgets of the Conservation Area, at the proposal of the Area Director and the scientific-technical committee. Define specific issues for the management of their protected areas, and present them to the National Council for approval. Recommend, to the National Council of Conservation Areas, the creation, modification or change of category of their protected wild areas. Supervise the work of the Director and the financial management body established. Approve, in the first instance, the concessions and service contracts established in article 39. Any other function assigned by national legislation or by the National Council. The Technical Scientific Committee of the Cocos Marine Conservation Area is made up of representatives of the coordinators of the programs or processes, those responsible for the territorial units, legal and administrative advisors at the discretion of the director. It is chaired by the director of the Conservation Area, is exclusively technical and will be the highest advisory body to analyze, discuss and formulate plans and strategies that will be implemented in the Conservation area. Its conformation may be extended at the discretion of the Director, incorporating officials or persons external to the CA for the discussion of specific matters. It must meet at least quarterly.